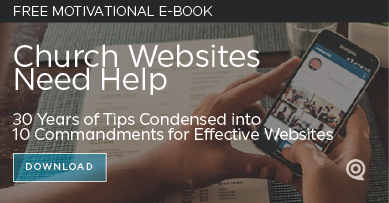 Your website should be the center of your digital communications. Everything should rely on it: to inform your congregation and to engage your community. Most will approach a website for answers. Your congregation. Your members are having discussions about the church hopefully. 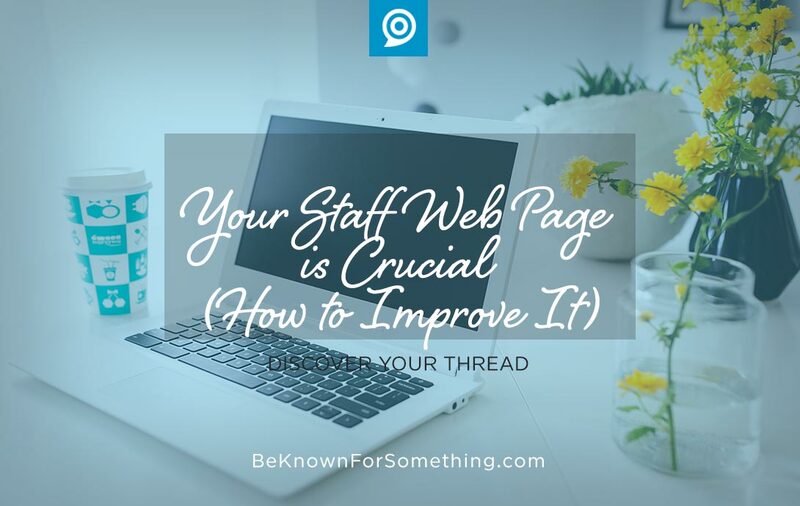 They ask questions like, “I wonder who leads the _______?” or “I wonder how I can contact Pastor _______?”, so they go to your staff page on your website (since most contact pages don’t go to someone specifically). Your community. Interestingly, they probably don’t want the contact info; instead, they are seeing who the leaders of the church are. And wondering things like: do they look like me, do they look believable, would they look like someone I’d go to for help, and/or what are they dressed like? Spend time on it. Take professional, and friendly pictures that are cropped consistently so you can see the face and some of their shoulders. Ensure that no one is emphasized more than another (i.e. make sure everyone’s face is about the same size). Who should be there? Anyone who needs to be contacted or identified. Be careful what they’re wearing. Know who you’re trying to attract and make sure staff are dressed accordingly. Those looking on the page will want to feel comfortable with the people they see. Usually, you want staff to dress like you expect people to dress for a service. They need to look approachable and real. Stop using pictures that don’t look like someone. Titles and/or roles are key. People going to the page usually don’t know the name they’re looking for. Instead they’re seeking to find who’s in charge of a ministry. Make sure titles/roles are displayed larger than names to ensure they’re scannable as you scroll down the page. Be clear how best to contact someone. Link only to an email that’s checked and relied to within 24 hrs. A phone number must be answered (or the voicemail checked) regularly. Social media links need to be to accounts that are professional, up-to-date, and representative of the church. Short Bios. Maybe 3 or 4 bullet points that prove they’re qualified for their role and/or tell the story of how they can help someone appropriately. Stop boring people with paragraphs. Give them links to next steps. In titles and/or bullets, link to appropriate ministry pages or lead someone to appropriate next steps if they’re searching for someone. Can you give an example of a church that has staff bios with these points? Most bios have the credentials section, but not much on “the story of how they can help someone appropriately.” Do you know of a church that has good staff bios? Thanks Ellen, this is usually the issue — they do 3 or 4 well but not all of them. We don’t “control” any of our client’s websites or bio pages (we just make recommendations). We’ll keep our eyes open for those doing it well and I’ll try to post. Anyone else have an example?